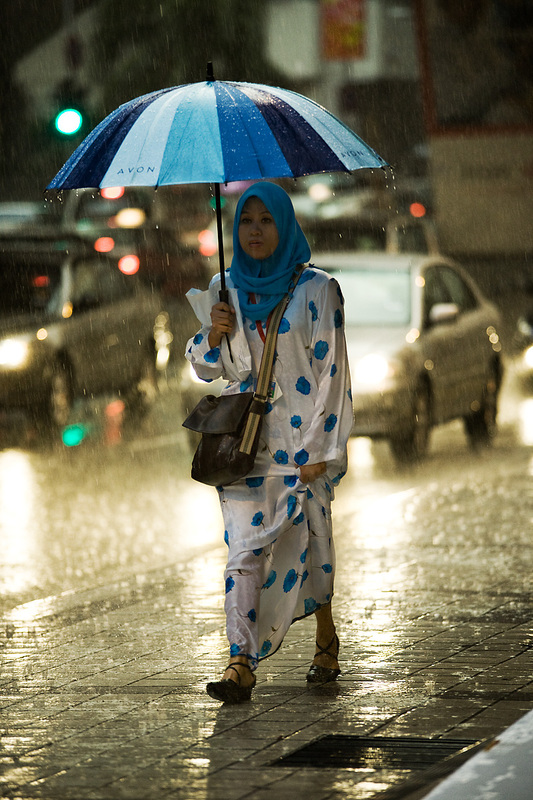 A Muslim woman remains dry during a typical Malaysian downpour. Relatively speaking, the amount of rain pictured above pales in comparison to the short frequent bursts of a Southeast Asian monsoon downpour. One minute the skies are clear and things can't look more positive. The next minute, the heavens close and you're calf-deep in backed-up sewage as medium-sized pests use floating debris for makeshift rafts. 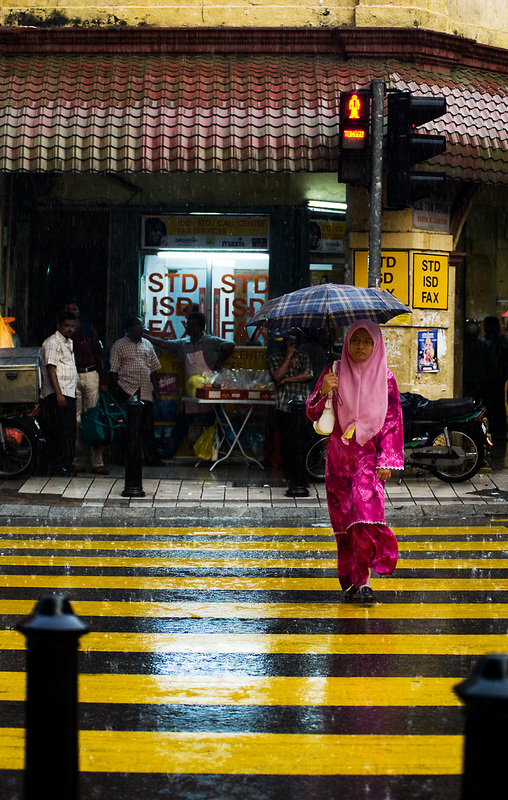 A Muslim woman crosses a colorful street in a light rain shower. For those of you that notice the STD signs, fear not. The acronym doesn't stand for what you think. STD/ISD booths are simply manned pay-phone stalls. For most in the developed world, the idea of using a pay-phone is as outdated as HTML boxes without rounded corners, uh hmm. For those of us still without mobile phones, having no coinage doesn't mean foregoing that important call to the doctor to find out your latest test results. An STD/ISD booth rings up your bill at the end of the call so the attendant can charge you accordingly. STD is used to make local calls while ISD is used for international dialing.